Home / Archive by category@voicefm"
I @rwscarter recently had the pleasure of meeting Shelly, she told me of this great campaign and all the great work that it supports – read on to find out more. Also if you or anyone you know owns or works in a coffee shop – make it happen. Shelley Lozano of Southampton, Hampshire, started her ‘BIG CAT Coffee’ campaign several years ago to help raise awareness and funds in support of big cat conservation projects worldwide. She has at least a dozen participating venues in the Southampton area and is hoping to expand this in other towns and cities. Shelley has worked tirelessly building up this unique campaign in collaboration with registered wildlife charities and is working with the Cheetah Conservation fund (CCF UK) and Cheetah Outreach (South Africa) to try to get the BIG CAT COFFEE campaign in every town in the UK (and possibly worldwide!) to raise awareness and funds for cheetah conservation as numbers continue to decline. Many big cats are now endangered or threatened with extinction. This is a simple idea to help raise funds by something most of us do every day – drink coffee. An easy, convenient and pleasurable way to help raise funds for the cheetah by drinking a cup of coffee (tea, or other beverage) knowing that you have contributed in the fight for the plight to save the cheetah and other big cats such as leopard or caracal. To help attract venues and keep customers interested Shelley updates them with her BIG CAT conservation newsletter, offering free publicity with a photo or link to the charities’ website and possibly even a mention on her weekly ‘Wildlife Show’ radio show – the only local radio show dedicated to wildlife conservation, on Southampton’s 103.9 Voice FM every Sunday 1-3pm. Please join Shelley in this unique coffee campaign and support CCF and other registered wildlife charities by purchasing a coffee at participating venues and add your donation to the charity tin displayed at the participating venue. Enjoy a BIG CAT Coffee, Cheetahchino, Cheetah Latte, Mocha Cheetah, Cheetahspresso or any other ‘BIG CAT’ drink (we can also supply venues with paw print stencils if requested), for an extra 20p or whatever you can afford, by adding your donation to the charity tin and help us to raise funds for the cheetah – Africa’s most endangered big cat. Dogs saving big cats. Your donation will go to help support the CCF’s Livestock Guarding Dog programme which protects farmers’ livestock from predation and helps prevent cheetah and other big cats on farms being shot, trapped, poisoned and killed. Time is running out! Please support our amazing BIG CAT COFFEE campaign and help save the cheetah from extinction! Plastic in our natural environment has become an urgent issue that our society needs to address and Ryan recently focused on this in his once a month CrowdLeaf radio slot with Xan Phillips on VoiceFM 103.9. (This is on from 8pm on the first Thursday of the month.) Plastic in the form of nurdles and plastic products are a serious problem for marine life, beach life and for the food system. Many people who believe they are being as good to the environment as they can be do not knowingly pollute the seas with plastic or other products. However, plastic fibres from polyester and acrylic clothing are polluting the seas on an industrial scale. One 6kg wash produces 140,000 fibres from polyester-cotton blend, half a million polyester fibres and nearly 3/4 of a million acrylic fibres. If each and every house is doing this just once a week that is an awfully large quantity and the rate at which people throw away clothes is pandemic. It is worse to throw these away than it is to wash them and the onus should be on the producers of such items to change the material to stop the pollution at source. There are alternatives that companies can and should be looking at such as natural products, lyocell made from trees, leather made from Pineapple and more… and we as consumers need to demand these. One important way forward is to take advantage of producers who are using alternative products to traditional plastics. These scary numbers are just the beginning. Micro fibres from soaps, body wash and cosmetic products are also washing down our drains into the seas. Recently a plastic soup of millions of pieces of plastic was discovered in our oceans. Earlier this year, 38 million pieces of plastic were found on Henderson Island. What is this doing to our natural habitats? Our animal welfare laws wouldn’t allow this for pets but for wildlife, sadly we have different standards. The problem of plastic pollution often becomes clear during the course of a litter pick. Litter picking as a form of environmental activism has grown markedly in popularity in recent years. Individuals are taking the initiative to clear up rubbish, as are groups of many different sizes. This includes volunteer groups who look after particular areas, such as Friends of Weston Shore, larger and more established organisations such as the Keep Britain Tidy or the Marine Conservation Society and now new, online initiatives, such as #2minutebeachclean and Litterati. 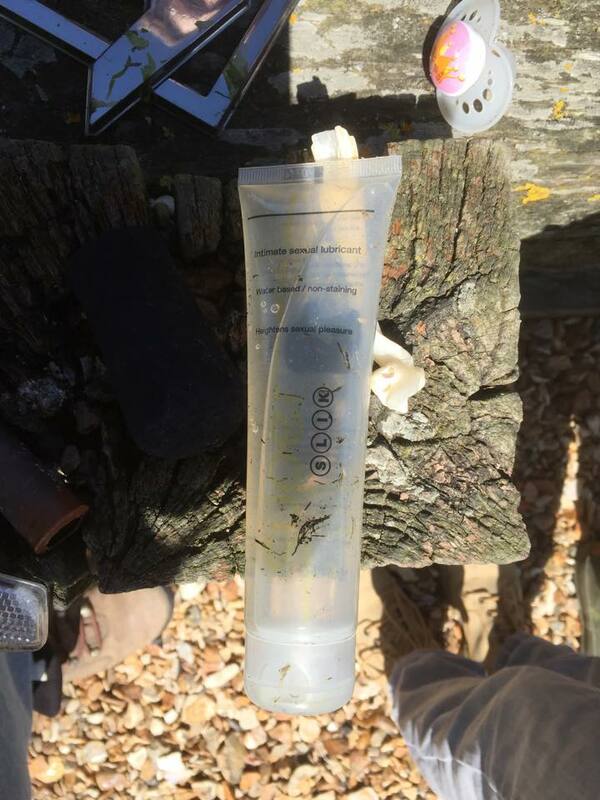 Keen litter pickers will spend a lot of time picking up plastic items in an event of this sort. Their work is vital in clearing up our natural environment as plastic will, if not removed, last effectively forever. 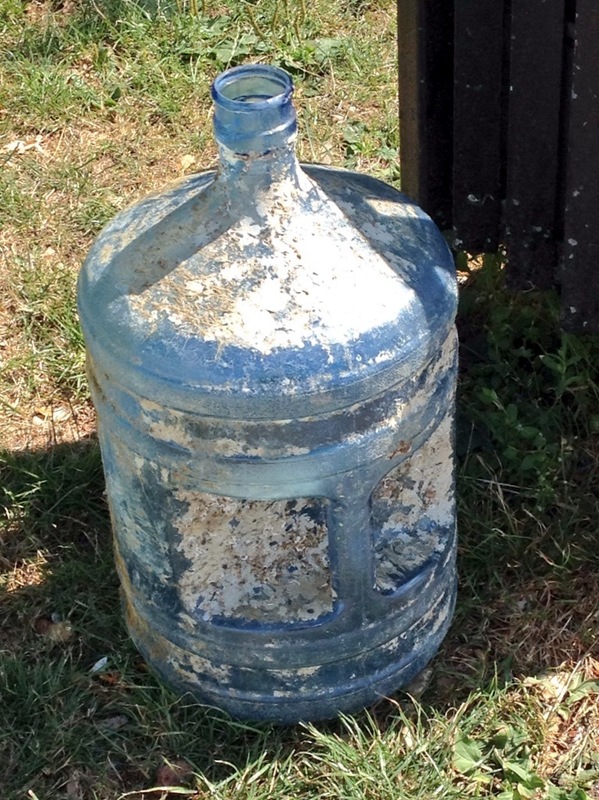 At a larger scale than plastic fibres, this includes plastic bottles, for water or soft drinks. As well as spoiling the natural beauty of an area, they can be a danger to wildlife. Mice and shrews can climb into them, perhaps spotting a mouthful of water to drink inside, and then be unable to climb up out again, leaving them trapped. Other animals, similarly looking for a drink, can trap their snouts or beaks in a plastic bottle, making them unable to shake them off. Plastic ring binders are another serious problem. These are the loops of plastic that are typically used to keep groups of four or six beer cans together. They can snare both land living animals like foxes, birds and even snakes but also, if they are caught by the tide, turtles, dolphins and other sea life. There is a famous case of a young turtle entwined in a twisted six pack ring whose body deformed as it grew, until its body ultimately became a figure of eight, the ring still stuck around its unnaturally narrow waist. If they are not removed from the environment, they pose a danger to wildlife. Cotton buds are another persistent problem. 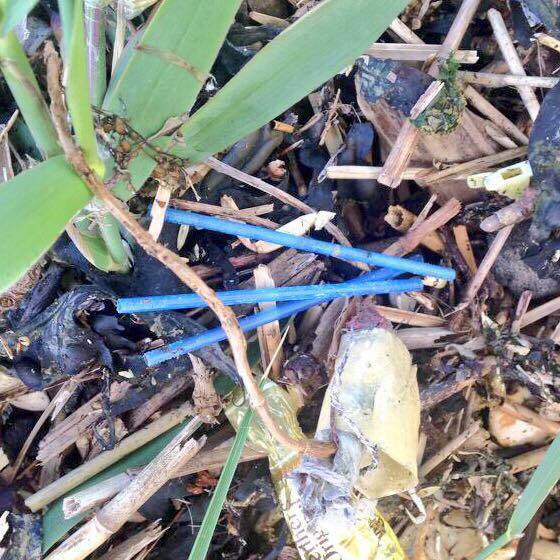 These small lengths of plastic tubing are all over our beaches, washed up by the tide. People use cotton buds to clean their ears and noses or for arts and crafts, household cleaning and other uses round the house. It seems that after they have been used, some people throw them down the toilet to dispose of them. The cotton buds then go through our sewage system, which is not designed for such products. Later, they are flushed out to sea only to ultimately end up washed up on our shores, without the fluffy cotton bits at either end, which will have disintegrated in the sewage system. Surveys by the Marine Conservation Society indicate that 60% of sewage related beach litter is from cotton buds. Just don’t throw them down the toilet! Nurdles are another form of plastic pollution, especially on our beaches. 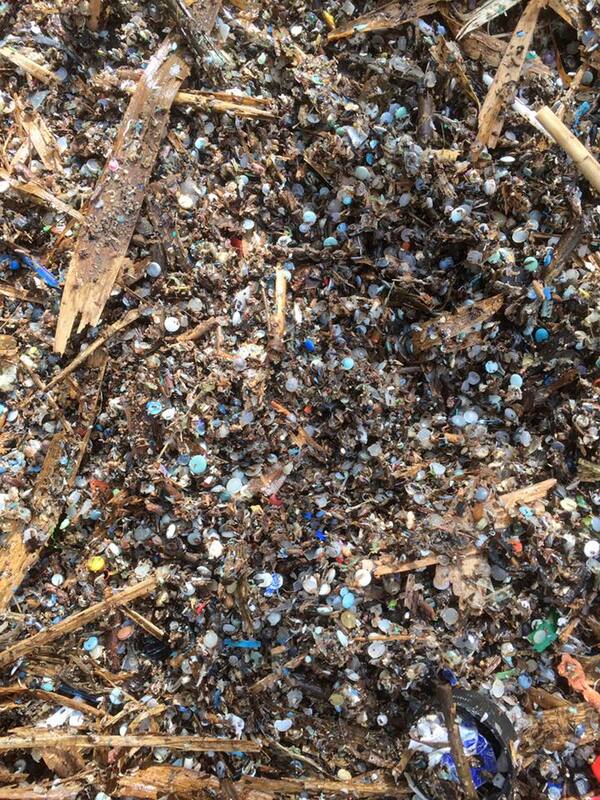 These are tiny beads of plastic, about the size of lentils, used in the creation of plastic products. They end up in our natural areas, including our shores, from spills or accidents while they are being shipped from place to place in the production process. Nurdles, like the plastic fibres we are learning about, represent a serious pollution problem, both in the water and on land. They attract and concentrate other pollutants to them. Like all plastic, they can fragment and breakdown into smaller pieces, becoming harder to handle and remove. Animals of all sorts can mistake nurdles for food like fish eggs or seeds, especially in the water, and this can make them sick or kill them. Part of the problem with nurdles in our natural environment is that their small size makes them difficult to remove. An average litter picker will be unable to pick them up. Chesil Bay in Southampton, a beautiful part of the shore in the city, has a particular nurdle pollution problem. In some patches this is so bad, there seems to be more nurdles than soil. Nurdles and other plastic debris often ends up in being deposited in natural areas because human created parts of the environment, such as sea walls, docks or piers are hard surfaces. When the plastic debris comes into contact with these, the nurdles, cotton buds and so forth, are deflected away. As a result, when they come to rest in a natural area, this will be where they stay. So, nurdles and other plastic debris tend to build up on a natural area of shoreline. There is an urgent need to take action at each stage of the plastic production process so that our natural environment is not ruined in the way that has been building up for years.